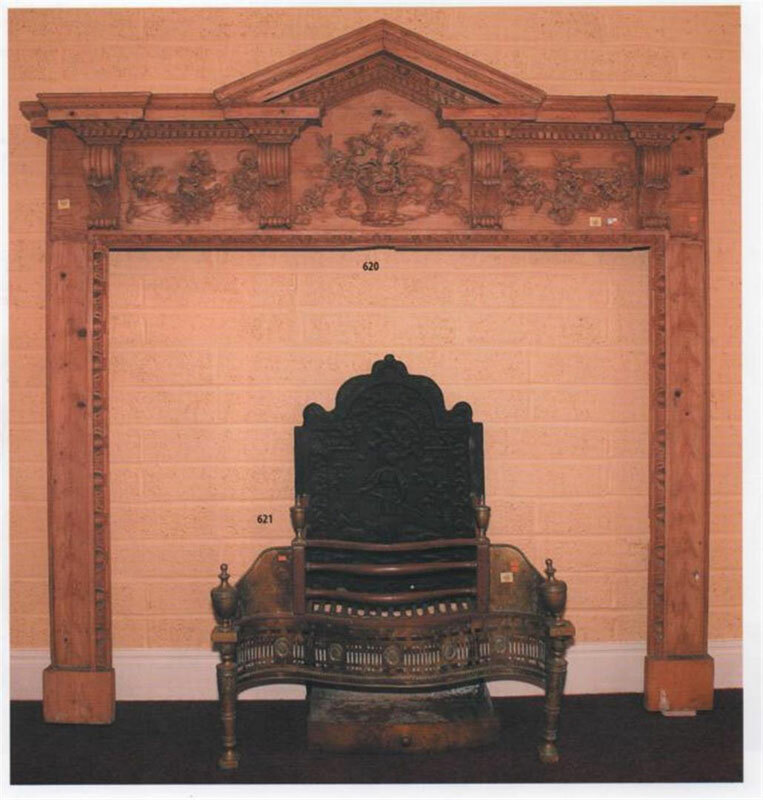 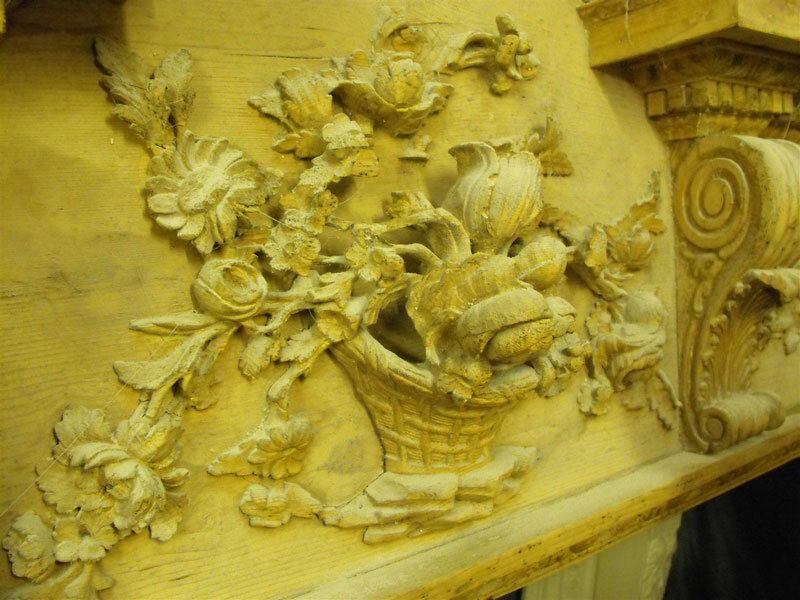 When we collected this pine mantelpiece for restoration it was in a very poor condition. 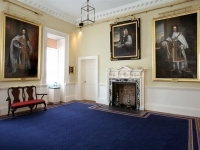 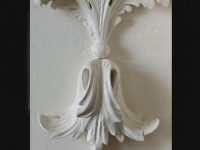 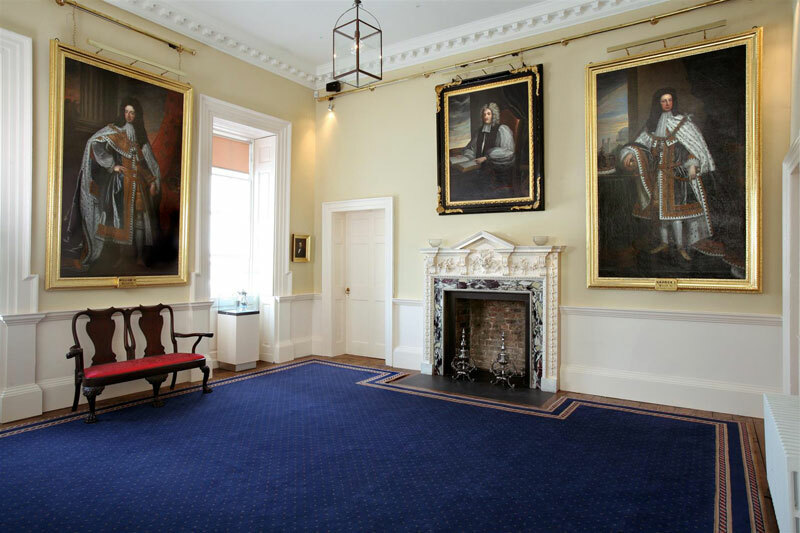 The owner had the perfect location for it to be installed and he wanted it to look like it did in the 1750s when it was made by John Kelly of Dublin. 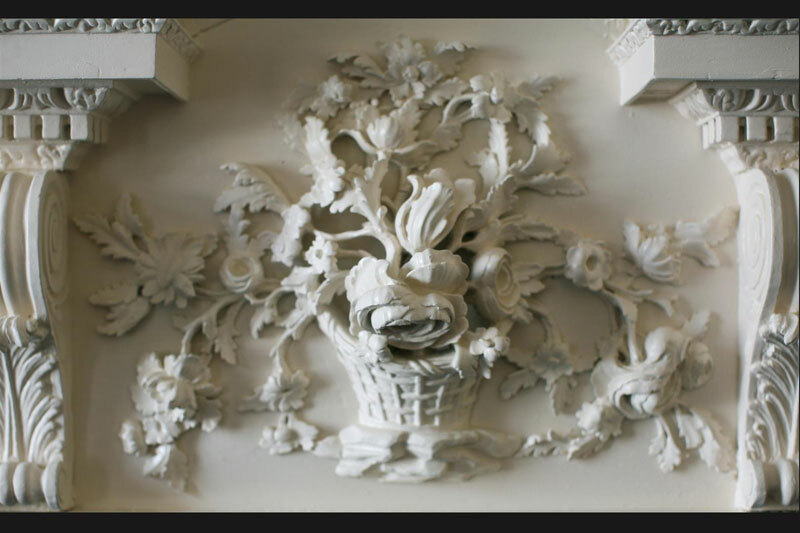 Forty percent of the carved elements were missing. 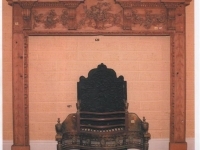 Both of the jambs car vings from top to bottom were completely gone, but there remained an outline from the original carvings. 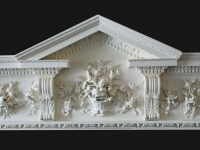 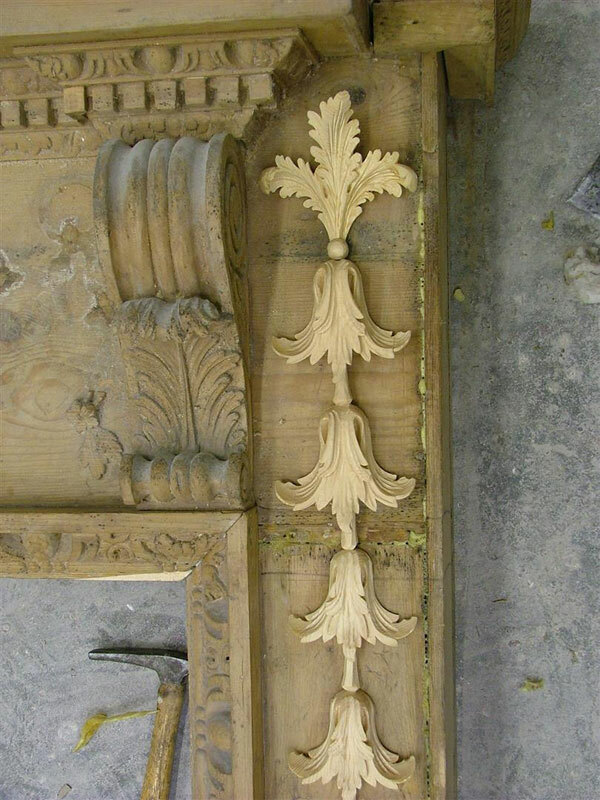 From this outline and our reference of similar pieces by John Kelly, we were able to deduce that a chain of husks once decorated the pilasters. 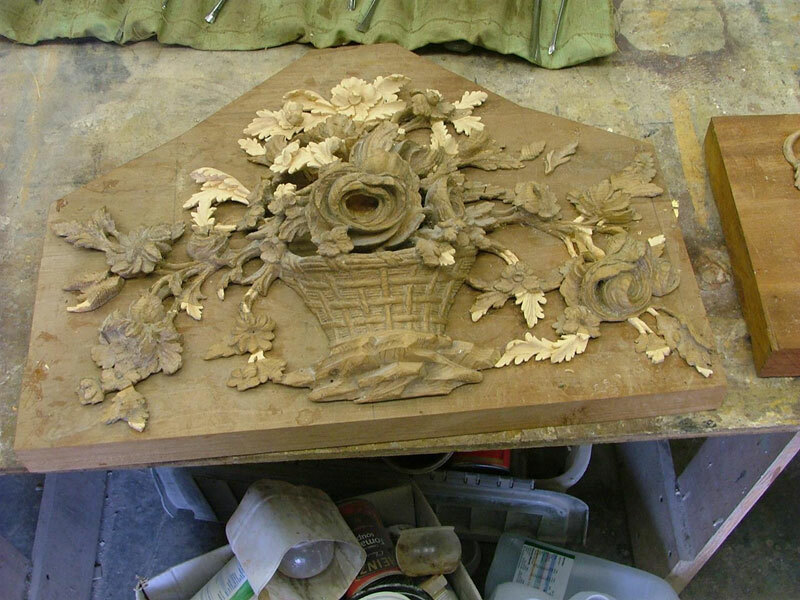 We carved the husks by hand from a similar section of pine and attached them to the jambs. 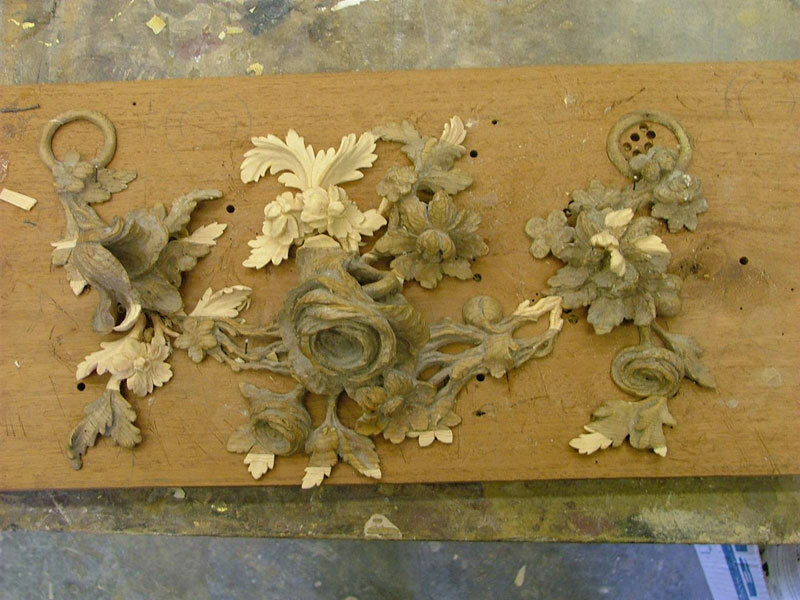 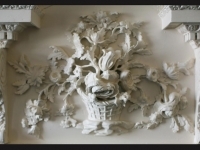 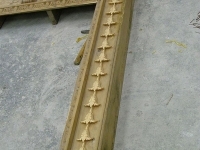 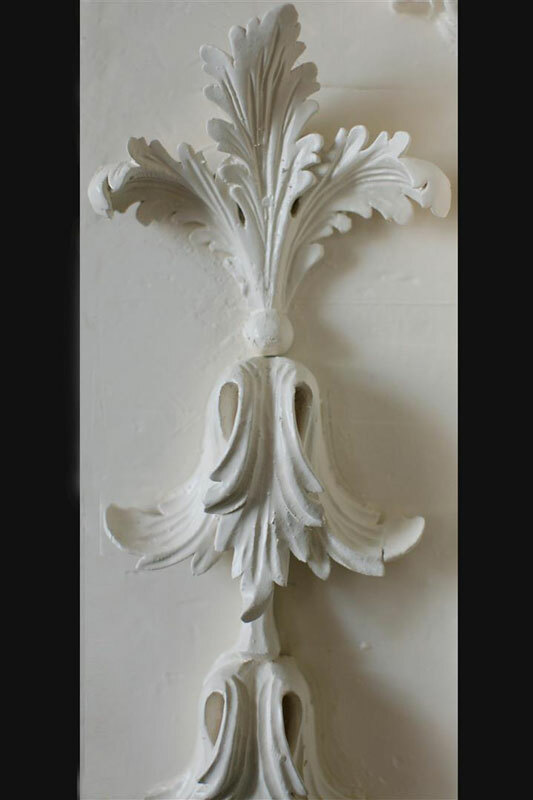 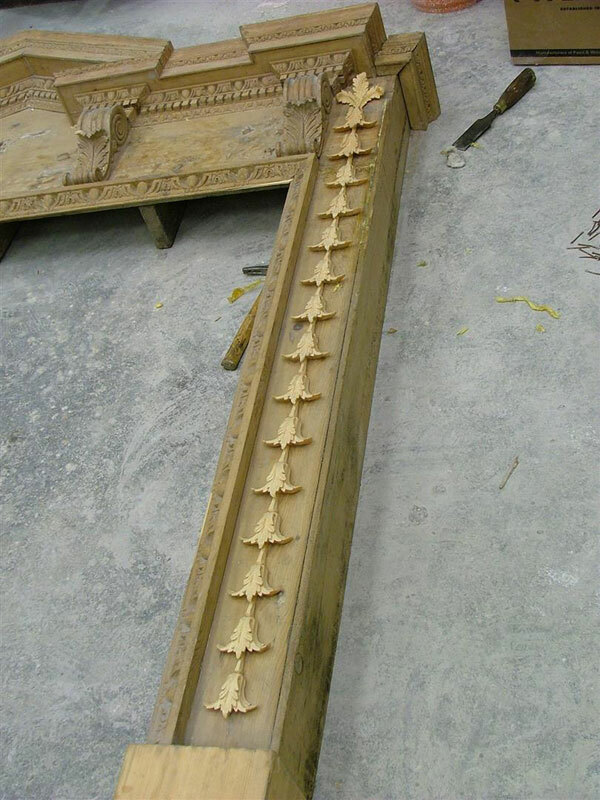 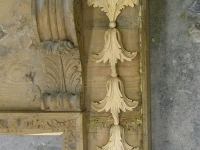 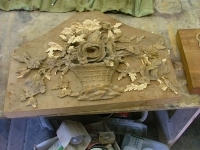 Much of the carved frieze was also missing or badly broken but we managed to replace the missing pieces. 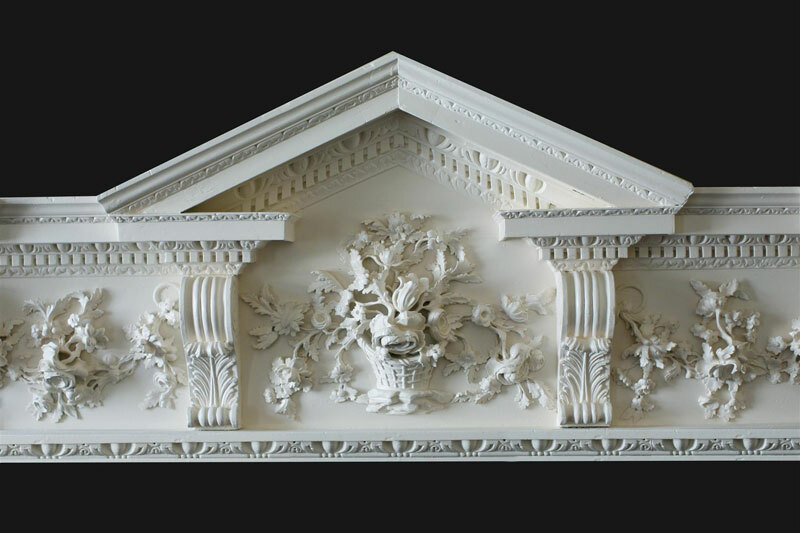 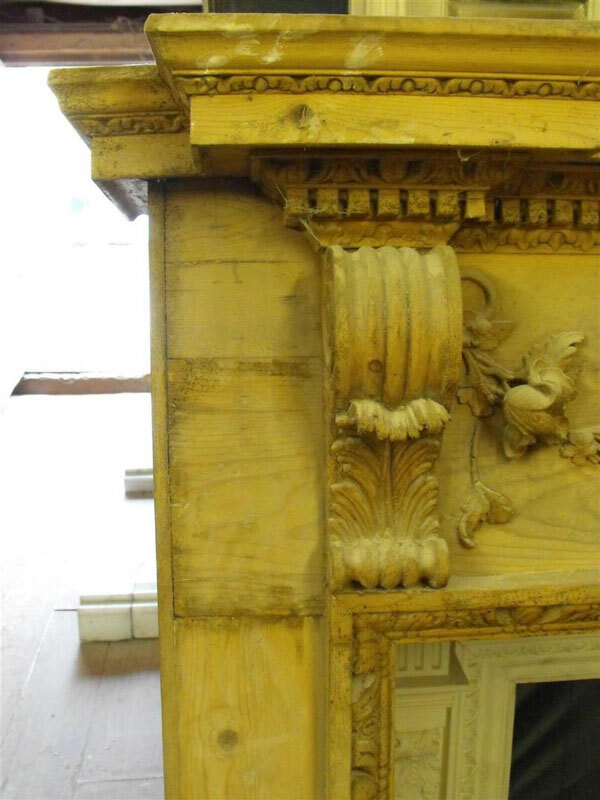 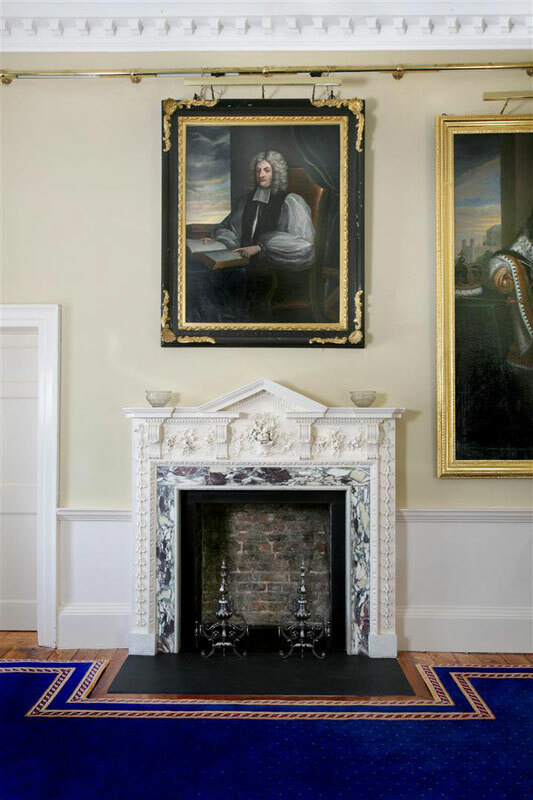 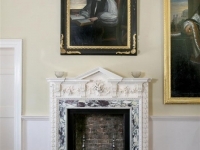 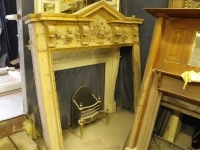 We gessoed the entire mantelpiece, a technique used in the 18th and 19th centuries for achieving fine detail and finished by painting it a period off-white colour. 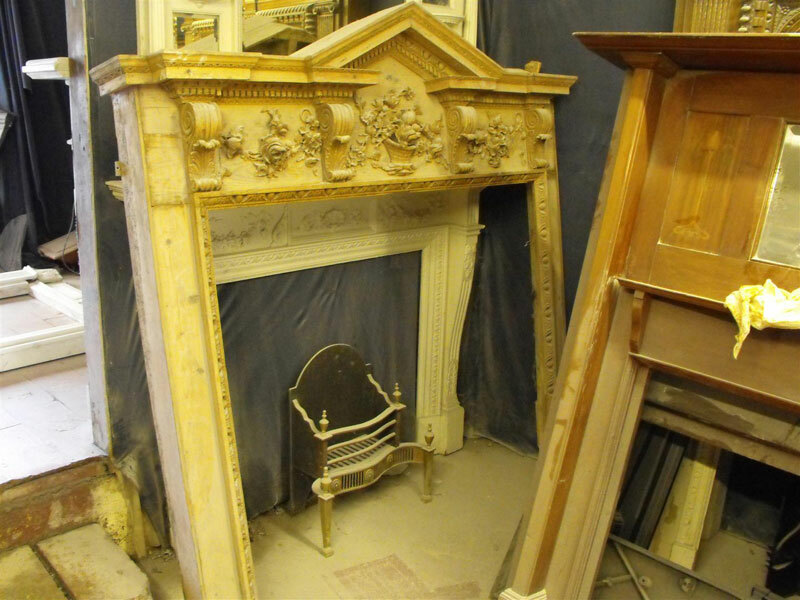 When installing the mantelpiece we reinstated the marble slips which were missing. 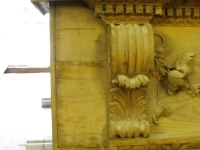 We used a period Breccia Violet marble with white Carrara marble bull-nose moldings. 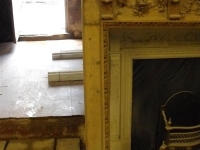 The chamber was built using reclaimed bricks and lime mortar, which we distressed with soot to achieve a used look. 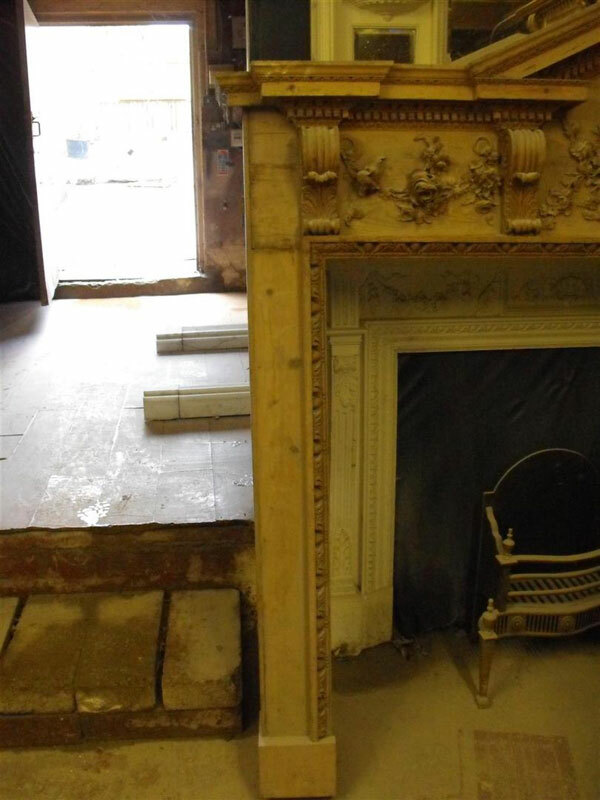 The new one piece slate hearth was recessed into the floor boards and we supplied a very smart pair of 18th century steel andirons.